Every athlete has their own genetics, ability and capacity to train. In order to bring out your best, the training needs to be specific to your own situation. Each week, the Bishop Racing coaching group designs custom training plans based on your racing goals, athletic prowess, nutritional needs, and lifestyle. You never see the same workout twice. You never do something without a purpose. The Everest training program is designed to keep you climbing your own individual mountain throughout the entire season. The result? Arriving at peak performance on race day. Our athletes are people, not dollar signs. Everyone has a voice that needs to be heard. A one-size-fits-all training environment doesn’t work. The Bishop Racing culture is designed to be a close collaboration between coach and athlete. Each athlete has a contact point. All coaches are accessible 24/7 to answer questions. We understand you have other commitments in your life and we make sure you can maintain the right balance in your personal and professional lives, while staying on target with your athletic goals. This one-on-one connection delivers productive training and improved race day performance. Our coaching staff provides a collective approach to creating great training and racing experiences. We’ve also partnered with a number of high-level advisers with world-class backgrounds to help shape the way things work and to guarantee success within the program. Our focus is finding what works best to improve each athlete. 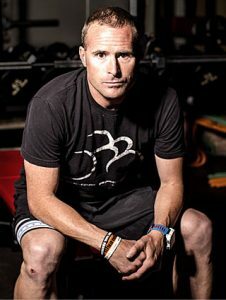 One of the leading minds in a new wave of endurance coaches, Bill brings a unique set of experiences and perspective to the table. As an athlete, he has been fortunate enough to compete on many of the world’s stages as a competitive swimmer and ranked as high as 18th in the world during his career in his signature event. In triathlon, Bill has established himself as one of the premier amateurs in long course racing placing as high as 8th overall at IRONMAN Maryland and has competed in both the 70.3 and IRONMAN World Championships. As a coach, he’s had the opportunity to work with every caliber of competitor ranging from the entry level to the Olympian, in the sports of triathlon, road running and swimming. What sets Bill and his program apart is the commitment to excellence and an athlete-first approach to coaching. He and his staff realize the amateur community faces many different challenges than the professional athlete but still brings the same level of passion and dedication to the table. Developing a custom approach to training for each person and using the principles of his Everest Training Program, has resulted in an extremely successful athletic experience. He and his team of world-class advisers use state of the art technology and industry leading training concepts to help every athlete be the best they can be. Bob Murray, PhD, FACSM is managing principal of Sports Science Insights, LLC, a consulting group that assists companies and organizations in need of targeted expertise in exercise science and sports nutrition. SSI’s clients range from start-ups to Fortune 100 companies. Bob was the co-founder of the Gatorade Sports Science Institute and its director from 1985 to 2008. His research on the hydration needs of athletes and the physiological and performance responses to ﬂuid, carbohydrate, and electrolyte ingestion contributed to the broader understanding of the importance of being well hydrated during exercise and of the role that carbohydrates and electrolytes play in helping athletes and non-athletes alike get the most out of their bodies during physical activity. He has served on the faculties of Boise State University (1980-1985; Associate Professor), Ohio State University (1979-1980; Lecturer), and Oswego State University (1974-1977; Assistant Professor and Men’s Swimming & Diving Coach). 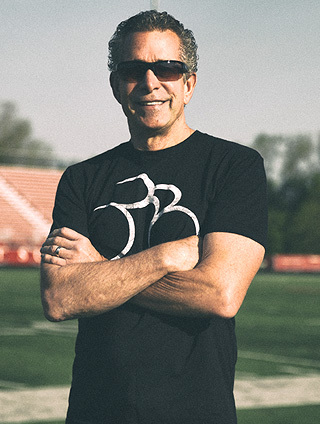 Bob received his PhD in exercise physiology from Ohio State University, is a Fellow of the American College of Sports Medicine, and an honorary member of the Academy of Nutrition and Dietetics. Dr. Murray has given thousands of invited lectures on exercise science and sports nutrition at scientiﬁc conferences around the world and has published dozens of research articles in scientiﬁc journals, as well as numerous chapters in textbooks. Dr. Murray’s recent book on exercise physiology is written for coaches, athletes, personal trainers, and other sports health professionals who are interested in learning the basics of how the body responds to exercise and adapts to training.